The family of a Durban businessman has been plunged into mourning after he was shot and killed when he intervened in a brawl in uMhlanga over the weekend. Identified as the owner of Durban Licensing, Keegan Naidoo (38), rushed to his relative’s aid when an altercation broke out a Palm Boulevard establishment and sustained a bullet wound when gunshots rang out during a brawl between two sparring groups. 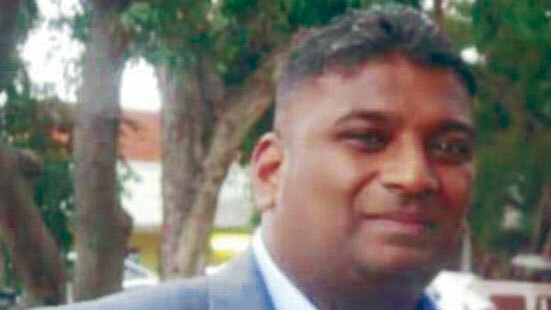 An injured Naidoo was rushed to hospital where he passed away on Saturday morning. Three others were also injured in the bust-up where it is alleged that a notorious gang of men brandishing firearms clashed with other individuals at the premises over what was said to have been a ‘stupid argument.’ Netcare 911 spokesman, Shawn Herbst, said, “At 3:04am on Saturday morning, Netcare 911 responded to reports of a shooting on Palm Boulevard uMhlanga.Reports from the scene indicate that three members of the public and a security officer were shot during an altercation outside a club. The patients were treated on scene before being transported to hospital for further treatment. “Circumstances leading up to the shooting will be investigated by the SAPS who were on scene.” SAPS spokesperson, Colonel Thembeka Mbele confirmed that four men had a dispute at the Palm Boulevard and a shoot-out ensued. “They all sustained gunshot wounds and were taken to the hospital for medical attention. Three pistols were recovered from the scene. A 38-year-old victim succumbed to his injuries on arrival. Durban North police are investigating a case of murder and three counts of attempted murder,” Col Mbele said.